How to buy movie tickets online in Nepal? As we don’t need to queue in line for several other payments like electricity, water, movie ticket buying has also become convenient. We can simply buy movie tickets online at our convenience, using the web or mobile apps. 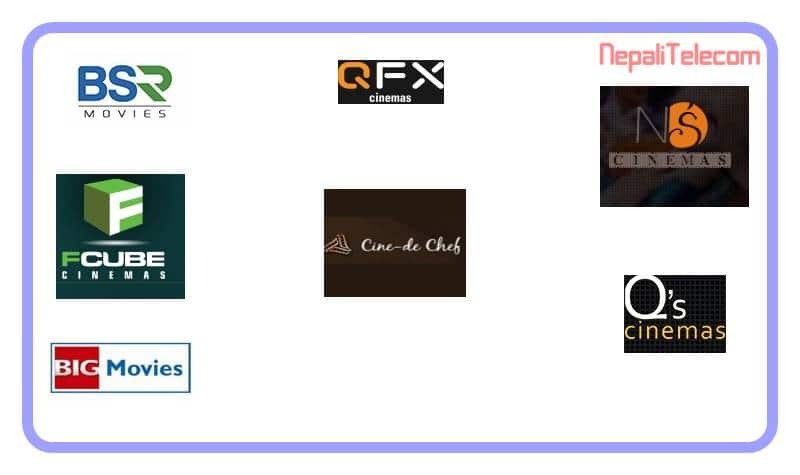 Most of the multiplex cinemas or cineplex or cinema halls like QFX, BSR, Q’s, Fcube, Big movies support ticket reserving/booking and buying online. Here is the process to buy movie tickets online in Nepal, using digital wallets like eSewa, Khalti, Prabhu Pay or IME pay or iPay. Most of the cinemas also have their own apps to use in mobile, whereas for some, they only have websites. 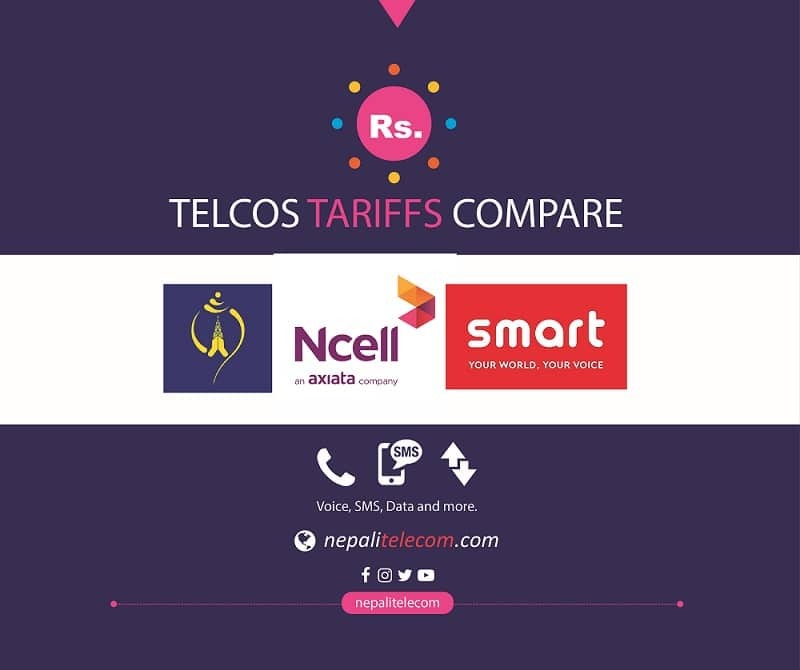 Alternatively, the mobile digital wallets like eSewa, Khalti also have the separate link for different Movie theaters website. There are more advantages to buying movie tickets online, some of them are here. No need to visit the cinema hall for ticket buying (1 or 2 hours or even a day before). Select the seat that you prefer before others. Plan for watching cinemas and make sure of the tickets ahead. Physical tickets can be lost, whereas digital will be always there in your mobile. Can get offers and discounts like the one with QFX Goji. To buy the movie tickets online, please follow the steps as bellows. Go to the Cinema hall websites or mobile apps. Log in to your account. If you do not have an account, make one by registering. You can also go through the mobile wallets links. Select the cinema and movie of your choice, along with the timing. 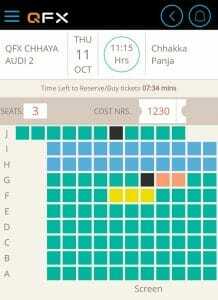 Select the seats that you prefer which will also show the cost in NRs. You can either reserve or buy directly. If you select to buy, You will be asked to select the different options for the payment. 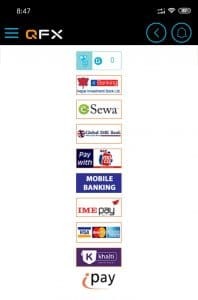 Select one of the options like eSewa, Khalti, IME pay, Mobile banking, iPay or more. Login to the digital wallet (Use transaction PIN) or online banking account to complete the payment. After the payment, you can save the tickets there or from my tickets in the cinema hall apps or website. When you reach the cinemas, you need to show the digital tickets for the scan. So, make sure you have the tickets in right place in your mobile. Or you can always get from your account. How to pay for electricity bills online? How to pay for khanepane bills online?